Santi Cazorla scored twice as Villarreal fought back to take a point in a chaotic 2-2 draw against a lackluster Real Madrid. Cazorla scored the opener for Villarreal after just four minutes with a curling first time strike, but Madrid responded with a goal of their own just three minutes later as Benzema headed in from close range. Madrid then took control of the first half and went ahead desspite their lethargy when Raphael Varane sent a powerful header past a stranded Sergio Asenjo on 20 minutes. However, Cazorla scored a late second-half leveller to ensure Villarreal escaped with a point that takes them out of the relegation zone and leaves Madrid seven points behind league leaders Barcelona. Villarreal then produced some poor marking of their own as Karim Benzema met a lofted pass from Lucas Vazquez just six yards out, sending Madrid level with a header on seven minutes. 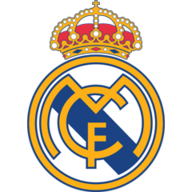 Santiago Solari’s Real Madrid were dealt a blow as in-form Marcos Llorente was ruled out with injury, but he had Casemiro available again and the Brazilian regained his place in central midfield. The hosts were unable to maintain their early intensity as Madrid took control of the game through the imperious Luka Modric. Raphael Varane then completed the turnaround after meeting a Toni Kroos free-kick with a bullet header. Gareth Bale was substituted early in the second half having struggled with a hamstring problem, and as Madrid looked to see out the game, Modric was replaced by centre-back Federico Valverde. When Lucas Vazquez went through on goal only to be denied by a superb save by Asenjo, Villarreal took the initiative and pressed Madrid with an intensity that they seemed unable to handle, and the returning Casemiro looked out of sorts after a two month absence. 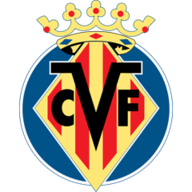 Villarreal eventually punished their opponents' fatigue as Santi Cazorla headed in at the back post after an excellent cross from Pablo Fornals, sending their home fans wild and travelling Real supporters towards the exit. The result means that Real stay fourth in La Liga now seven points adrift of first placed Barcelona, while Villarreal rise out of the relegation zone. Santi Cazorla showed that he's still a class act with two well taken goals and an excellent performance all round.